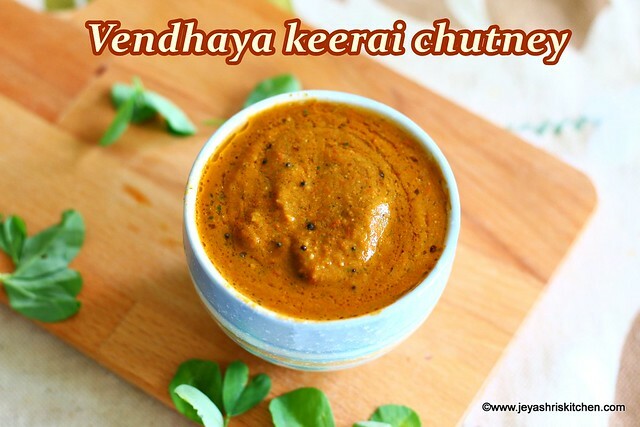 Description: Venthaya keerai Tomato chutney recipe, Methi leaves chutney recipe with video and step by step pictures, a chutney recipe using methi leaves and tomato as main ingredients. Wash the methi leaves and chop the tomatoes roughly. In a pan add the oil and add in the chana dal, red chili and tamarind. Fry in medium flame till the dal turns golden brown. Add in the tomatoes and cook till mushy. Add in the methi leaves| venthaya keerai. Keerai tends to cook so fast, so saute for a minute or two. Grind in a mixie into a fine paste. Temper mustard seeds in sesame oil. Serve with Idli| dosa or chapathi. 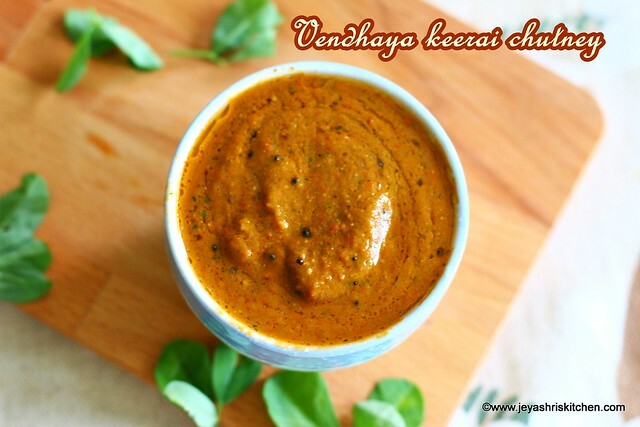 I added 3/4 cup methi leaves| venthaya keerai. But i felt 1 cup can be added too. Tamarind was bit more in my chutney, so just add a tiny piece. If you want to add coconut, you can add while grinding the methi leaves chutney.